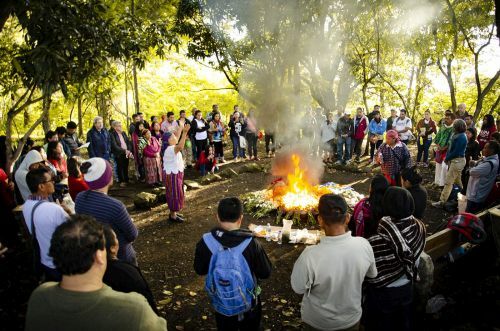 Alianza Biodiversidad (Biodiversity Alliance) is a collective platform that brings together ten key organisations and movements in Latin America and the Caribbean. It was born from the convergence of two communications projects: the magazine Biodiversidad, Sustento y Culturas (Biodiversity, Sustenance and Cultures) and the website Biodiversidad en América Latina y el Caribe (Biodiversity in Latin America and the Caribbean), started by Acción por la Biodiversidad. In the past 24 years, the magazine and website have become key points of reference in defence of rural smallholder food production systems, putting the central focus on the factors most important to their recovery: the defence of the lands, biodiversity and seeds of indigenous and rural people. They also promote agro-ecological farming practices and food sovereignty. For Alianza Biodiversidad, this task is fundamental to the regeneration of the global ecosystem, as it is the basis for the future possibility of producing food without destroying ecosystems and at the same time is the key to the feeding of humanity.